If there was one truism with Hyundais of the past it was that the bigger the car became, the less competitive it would be. 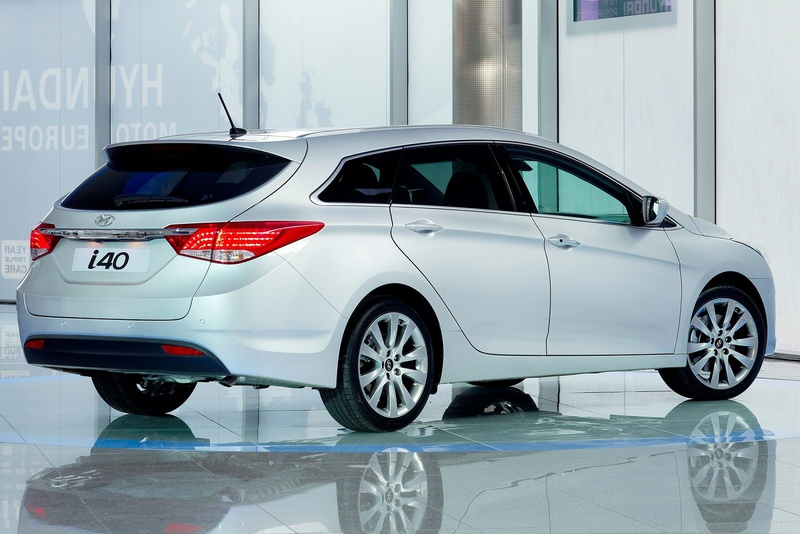 The Hyundai i40 Tourer is a vehicle that looks set to erase that piece of form. Offering accessible pricing and plenty of space and equipment isn't anything new for the Korean company but the quality of finish and the maturity of the styling certainly is. You have to pity anybody tasked with selling an estate car bereft of a premium badge in the past few years. It's been a sector of the market that has imploded, with customers far more willing to spend money on SUVs, people carriers or smaller cars with bigger badge equity. Despite this customer exodus, we've seen some excellent estate models being launched and into that small but talented pool comes Hyundai's i40. 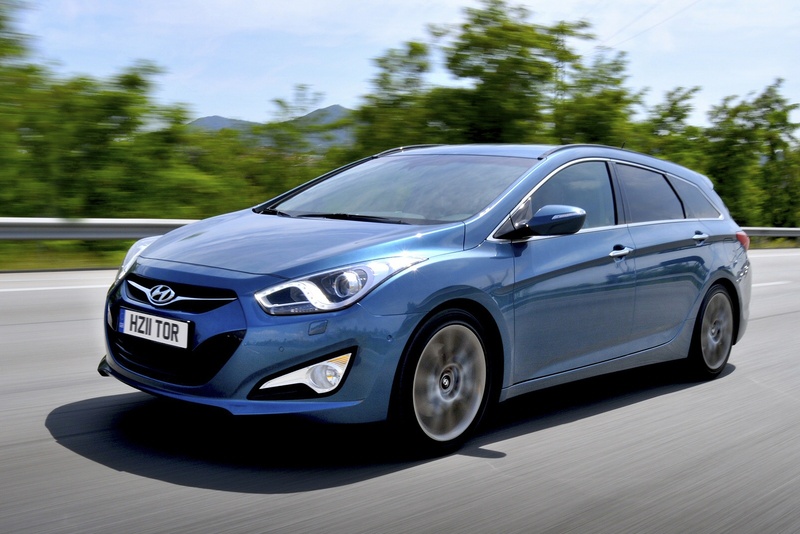 Latest figures suggest that this market has bottomed out and is starting to grow at a decidedly encouraging rate, so Hyundai's timing could well be spot on. 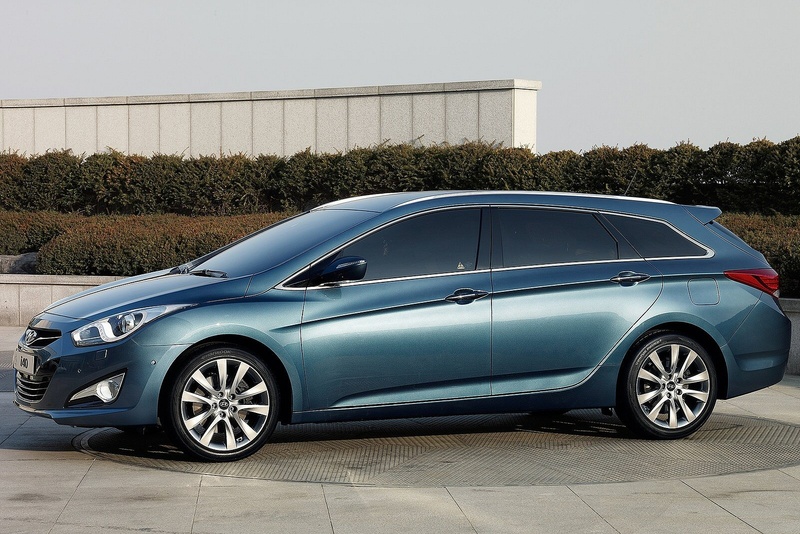 The i40 Tourer certainly has all the ingredients necessary to do well, offering a realistic sticker price and low ongoing running costs as a solid foundation. 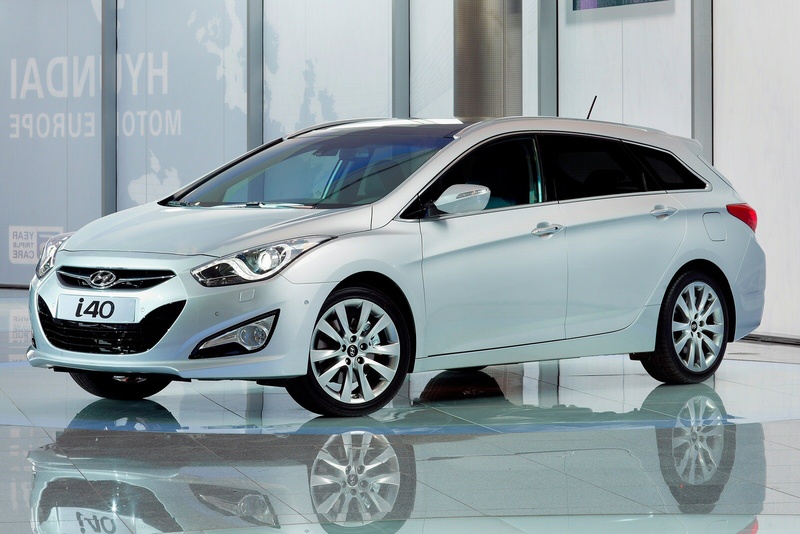 Appealing purely on costs will net a certain type of buyer but Hyundai these days has bigger aspirations. No car in the i40 Tourer's class can make the grade unless it drives well and the Hyundai doesn't fare at all badly in this regard. Power comes courtesy of a pair of petrol and a pair of diesel engines. The direct injection petrol units both offer a hefty slug of power, the 1.6 GDi unit making a respectable 133bhp at 6300rpm with the 2.0 GDi good for 174bhp at 6500rpm. Both engines need plenty of revs on the board to get pedalling with any verve, and they're not the silkiest petrol engines we've tried. 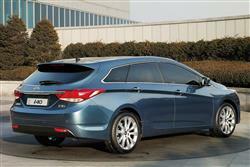 Buyers who will routinely use the Tourer fully loaded may well prefer one of the diesel powerplants. The entry-level diesel unit is the one that will account for the lion's share of the sales and it's a decent piece of engineering, with plenty of torque and impressive refinement. This 1.7-litre CRDi common rail powerplant develops 115bhp and 192lb/ft of torque at a useful 1250rpm, or there's an even brawnier 136bhp version of this engine that generates 240lb/ft at 2000rpm. Hyundai's Blue Drive eco measures are fitted to the Active and Style trims, which explains why the Premium trim level offers ostensibly the same engines but is a little quicker off the mark and a little less saintly on tailpipe emissions. 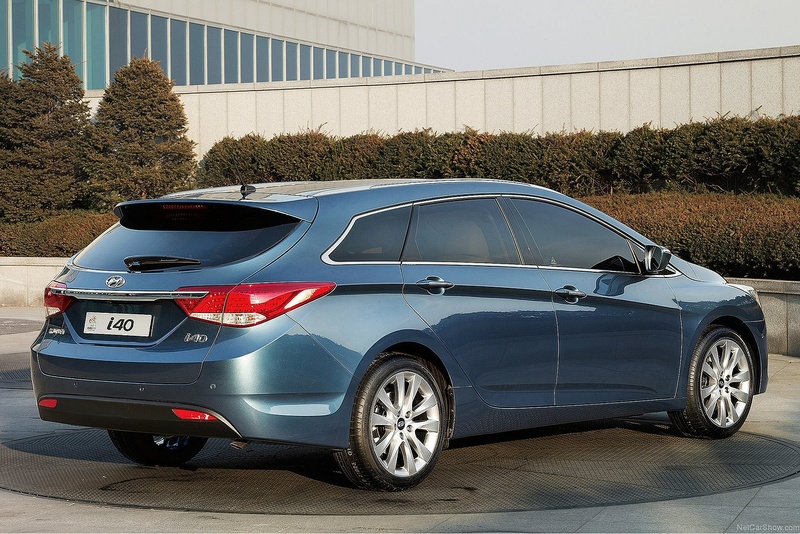 Excellent body rigidity affords Hyundai's chassis engineers the ability to offer crisp and safe front-wheel drive handling coupled with better than average ride quality. 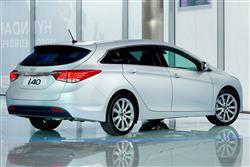 The Hyundai i40 estate version offers a sleek 'sportback' style profile coupled with any number of smart details. Check out the concave C-pillars, the intricately finished headlight units and door mirrors, the slashing swage lines in the front wing and the bold wheelarch treatment. I couldn't decide whether the smiling front air intake was a success, but the i40 is nevertheless a very smart piece of design. The interior looks good too, with a centre console stack that reminded me of Ford's latest offerings, a reassuringly chunky steering wheel and a decently sized luggage bay. Somewhat surprisingly, headroom might be an issue for taller drivers but there is quite a bit of seat/wheel adjustability to help find a decent driving position and the pedals are nicely aligned, without the usual offset found in many right hand drive world cars. Build quality also seems very good with tight shutlines and decent materials used throughout. Any estate car stands or falls by the amount of gear it can carry and the i40 Tourer passes that test without breaking sweat. 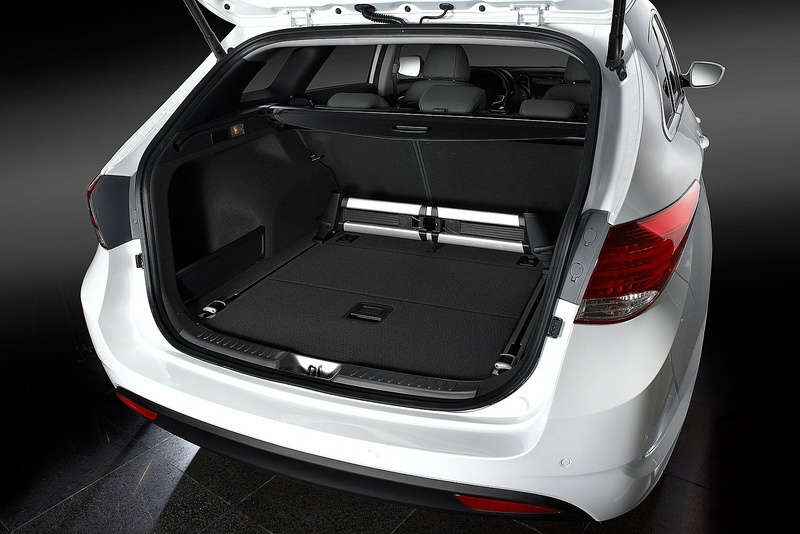 With the rear seats in place, there's a cavernous 553 litres available below the parcel shelf. Remove the parcel shelf and drop the seats and this will free 1719 litres to the car's head lining. Somewhat unusually for a new car, the i40 manages this while allowing space for a full-sized spare wheel. Hats off for that touch. 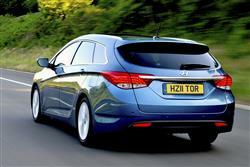 With prices opening at just over £18,000, the i40 offers a Mondeo/Insignia sized car for Focus/Astra money. 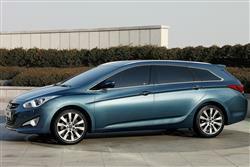 That sort of value proposition is hard to argue with, especially when it's backed up by Hyundai's excellent warranty. Five Year Triple Care, will come as standard on i40. This package features a five-year unlimited-mileage warranty, five years' roadside assistance and five years of vehicle health checks. The range breaks down into three trim levels; Active, Style, and Premium. Even the entry-level Active gets 16" alloy wheels, Bluetooth connectivity with voice recognition, leather steering wheel with audio controls, electric heated door mirrors with integrated LED indicators, electric front and rear windows and electric parking brake with automatic hold function. Fork out the extra £1800 or so for the Style model and you'll also get touch screen satellite navigation with rear view camera, front and rear parking sensors, cruise control and dual zone climate control. The Premium models really go large with leather upholstery, panoramic sunroof, keyless entry and a big LCD colour display on the instrument panel, plus there's option of the Lane Departure Warning and Smart Parking Assist, a heated leather steering wheel and ventilated front seats. Let's just say that the i40 Tourer aces the value for money issue. Both the 1.7-litre diesel engine come in under the 120g/km threshold in Blue Drive guise, managing 113g/km for the 115bhp unit and 119g/km for the 136bhp engine. The Blue Drive technology includes a Stop/Start system, low rolling resistance tyres and an Eco indicator to let you know how you're performing. 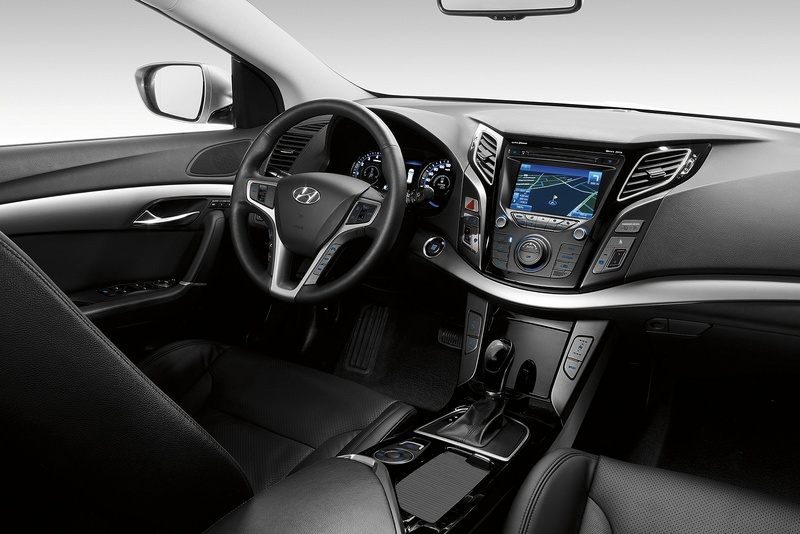 Without this Blue Drive tech, the i40 Tourer in Premium trim jumps 35g/km to 134g/km. The petrol engines aren't quite so clean, the 1.6 GDi Blue Drive emitting 140g/km while, without Blue Drive, it's pegged at 155g/km while the 2.0 GDi manages 169g/km. It's a similar story where fuel economy is concerned, with the entry level Blue Drive 1.6 petrol engine averaging 47.1mpg. This is creditable in and of itself, but massively outstripped by the 1.7-litre 115bhp Blue Drive diesel's 65.7mpg. With only a £1,000 price differential between these cars you'd recoup the premium at the pumps within 23,000 miles notwithstanding any taxation and residual value benefits the diesel model chalks up. If you�re looking for a new Hyundai i40 1.6 CRDi SE Nav 5dr Diesel Estate for sale, you�ve come to the right place. At Bristol Street Motors we don�t just have the best Hyundai i40 1.6 CRDi SE Nav 5dr Diesel Estate deals, we also offer friendly advice and help with all your enquiries to ensure your buying experience is a happy experience.